Why Choose Green Children’s House? Green Children’s House is a non-profit 501 (c)(3) Montessori preschool in Pompano Beach, Florida that combines Montessori learning and care to provide the best environment for your children. The staff at Green Children’s House deeply cares about the well being of your children and they love what they do! Green Children’s House strives to create a healthy and positive environment and we genuinely care for every child just as if it they were our own. Green Children’s House has low student teacher ratios and believes that positively impacting a child’s life is the most important thing one could do and it is with that thought in mind that GCH works to bring your child a positive environment conducive to their growth and development. Maria Montessori discovered and revealed to the world qualities in children different from and higher than those we usually attribute to them. By giving freedom to children in a specially prepared environment, rich in activity, she was able to show an astonished world that children from 3 to 6 years learned to read write spontaneously. We also believe that children are ripe for learning at this early age. Not only are they ready learners, but they are more eager than the older children. 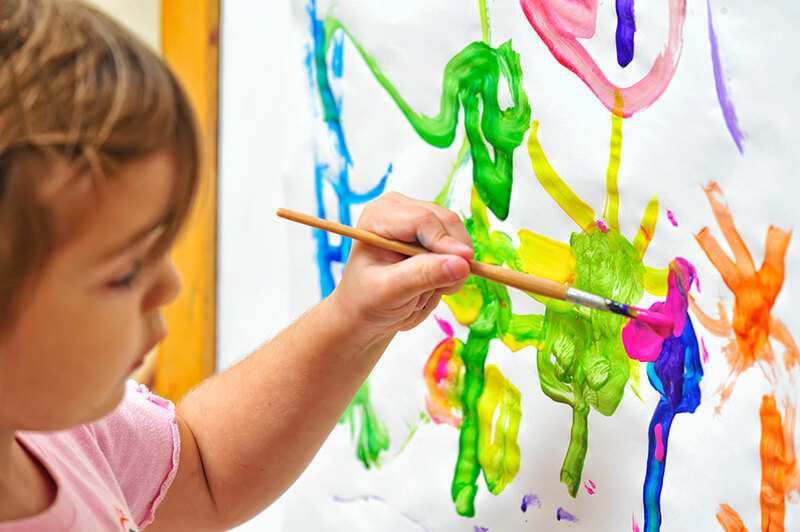 Our curriculum includes the best of Montessori and traditional education that includes a creative activity based learning environment for your child. We believe that though an educational curriculum is important to a child’s growth and development, so is physical activity. As a result, your children are given supervised free play within our playground so that they can jump, run, bike, climb and socialize with their new friends. Green Children’s House believes in building a healthy IQ as well as an EQ. We believe it is our mission that the whole body, mind and spirit, are cultivated within the GCH facility. Green Children’s House lead teachers have a minimum CDA. AA or BS in early education, are certified in First Aid and CPR, have a Broward County and FBI background clearance, and many are multilingual. Our teachers care about the development needs of your child and work together to create a nurturing, stable and a great environment for your children in order to ensure your child has the best resources for success. Green Children’s House (GCH) is a green ecological organization that strives to protect and preserve our environment as well as teaching our future leaders the importance of this mission. We stand by this philosophy and try our best to create a paperless office. Any paper that is used for children’s activities as well as other documents are printed on recycled paper. GCH strives to use the latest technology that also follows the same green philosophy. Green Children’s House offers organic food/produce that is grown on a sustainable farm for snacks. GCH also provides organic milk to the students. Green Children's House is a non-profit 501 (c)(3) Montessori preschool teaching children ages 3 months -10 years old a curriculum that combines Montessori learning and the highest care possible to provide the best learning environment for your children. Green Children's House follows a green environment policy and is committed to setting your children up for future success.